Call us today on 01342 349 937 for a free quote. Is the surface on your bath worn, stained and you can’t get it nice and clean any more, then it sounds like your bath is in need of being resurfaced. 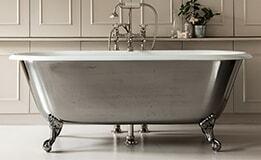 We do not need to remove your bath to resurface it and can restore it in-situ. We can make your bath look new again with in a day. Does your bath have a black chip in the enamel or a chip in the acrylic? 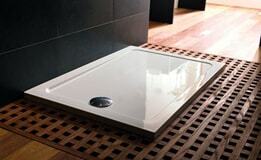 Our highly trained technicians can repair any chips in your bath, sink or shower tray. 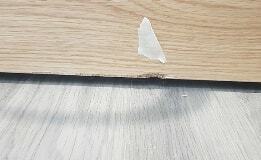 Over the years we have developed and mastered the art of repairing small chips on surfaces so that they disappear. 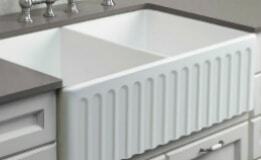 Sink Re-Enameling is the system in which Sinks are refinished to look like brand new. With Re-Enamelling your tired sink or butler sink, it can be repaired to a nice white shine in situ – in just 4-6 hours – for a small percentage of replacement price.